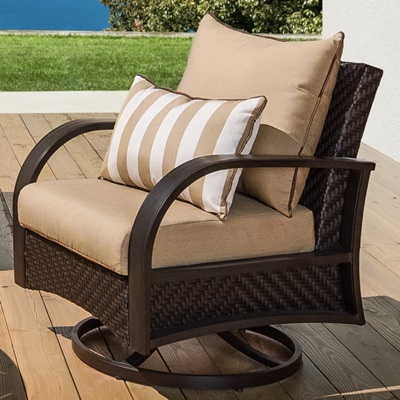 Create additional seating to your outdoor patio, or use this set as a standalone piece for your outdoor space. 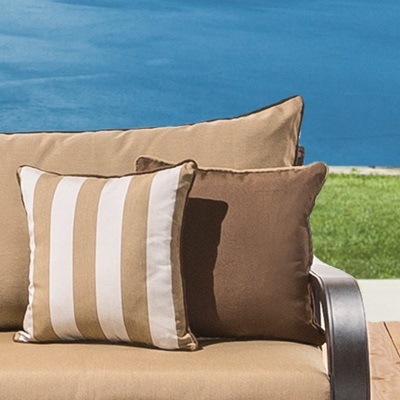 Deep, comfortable seating pairs well with our mixed-material design, with all pieces engineered to withstand the elements. Coffee table included to keep your books, refreshments, and other items within reach. Kit includes a 76-inch sofa with four coordinated accent pillows, and a 46x26-inch coffee table.